Remember when the science teacher waxed lyrical about protein being the essential nutrient used by the body to build muscle? Turns out, they were speaking nothing but the truth and until you crave building muscle, you might never grasp the impact of this scientific truth. Protein helps in the maintenance, repair, and growth of muscles alongside other bodily functions. To build muscle fast, you need to meet your daily protein nutrient requirements. The only problem is that achieving this is easier said than done. Thankfully, protein smoothies are better alternatives that go a long way in helping you supplement protein into your diet. The beauty with them is that they are incredibly easy to whip up if you have the right tools and ingredients. Home-made protein smoothies are also cheaper compared to the ones prepared at stores and fitness centers. To ensure success with home-made protein shakes, there are a few tips you should always keep in mind. Irrespective of how tempting using fruit juice for your protein smoothie is, you are better-off with the real fruit. Fruit juice locks out most of the good stuff including fiber and phytochemicals contained on the flesh and skin of the fruit. In addition, utilizing just the fruit juice increases your calories which are mostly derived from the natural sugars of the fruit. If you must use fruit juice when making your shakes, let it be for the sole purpose of masking the color of your protein smoothie or perhaps enhance your nutrients greatly. Alternatively, throw in your low-glycemic index fruits that are rich in nutrients and a little low on sugar. These include strawberries, raspberries, blueberries, and blackberries, apples, apricots, grapefruits, and papaya. While you are at it, you might want to watch your portions. Don’t go beyond one cup per serving as it can be rather counter-productive. For the longest time now, fat has been shunned by the mainstream media and frankly, we’ve grown to dislike it. However, more studies have also shown that fat is actually vital for the human body and no doubt, not all fat is bad. Omega-3 fats and a whole range of other essential fats actually improve cellular functions, enhance brain function, and reduce inflammation. 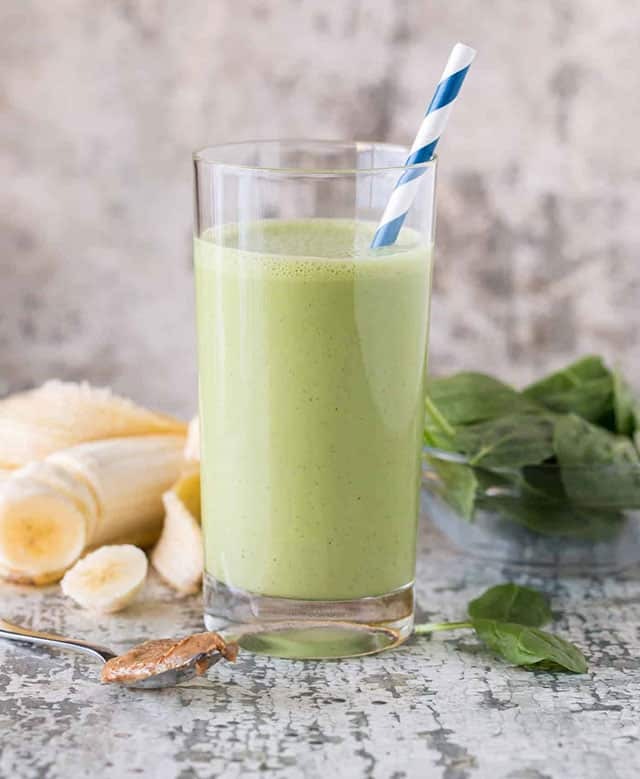 When making your nutrient-dense protein shake, use a good amount of healthy fat—the kind that is found in nature and not infused with antibiotics and hormones. Think plant-based fats such as whole nuts, almonds, peanuts butter or marine oils that have undergone little processing such as extra virgin coconut oil. Regardless of your fat-loss or muscle-gain goals, you need good protein to help increase your energy levels and control your blood sugars. The protein you choose should have sufficient amino acids for ideal fat burning and muscle growth. Protein powders available in the market today have focused on amino acids profiles which is why they are used massively for both fat loss and muscle gain. When you go shopping for a protein powder, consider getting the grass-fed whey protein. If you can’t get your hands on it for some reason, don’t sweat it—there are a plethora of other whey protein options on the market worth considering. DrinkFit Smoothies can be a great choice if you are looking for some quality with affordable prices delivered at your door. Some of the good-quality options include Pea Protein Powder, Whey, Hemp Seed Protein Powder, and Brown Rice Protein Powder. It’s no secret that many people consume way too little vegetables and green food. How about pumping your protein smoothies with an abundance of these two food groups? It will ensure that your body gets a boatload of vitamins, minerals, and phytonutrients that it often lacks from over-processed and over-cooked convenience foods. Green food powders combine chlorella, spirulina, sea vegetables, and wheatgrass giving you an even better bust of nutrients for the buck. Protein smoothies are vital in the quest to building muscles. Irrespective of how easy it is to make them, there are a few tips that go a long way in making them nutrient-rich and effective. Use the tips above alongside other muscle-building strategies and just watch how your short your journey will be.